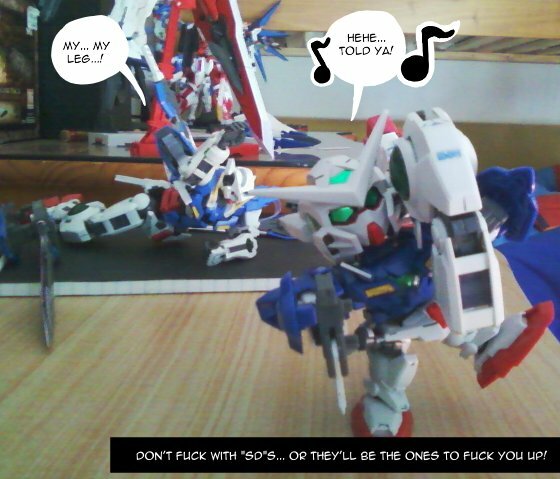 Gundam Mischief… and some more stuff. Hey, everyone. Been enjoying the comic updates? Good. 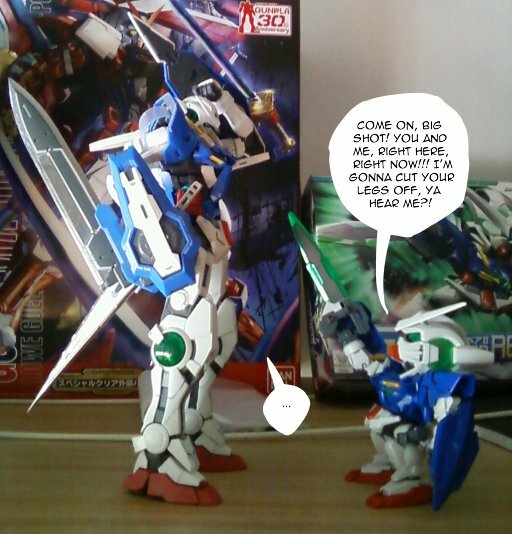 Now, time for something else… Remember those pics I took of my friend’s Gundam models? If you don’t, click here and here to check it out. Credits for KKM, for showing this to me. That’s it, for today. Seeya later!!! This entry was posted on Sunday, June 6th, 2010 at 8:41 PM and is filed under News. You can follow any responses to this entry through the RSS 2.0 feed. You can leave a response, or trackback from your own site.